The disappearance of inflation is the big debate for central bankers in Jackson Hole this weekend. That puts Japan in an uncomfortable spotlight. The BOJ is running short of government bonds to buy – but could do more by becoming more creative in its asset purchases. Since March 2015, the Bank of Japan has delayed its target date for reaching 2 percent inflation at least six times. 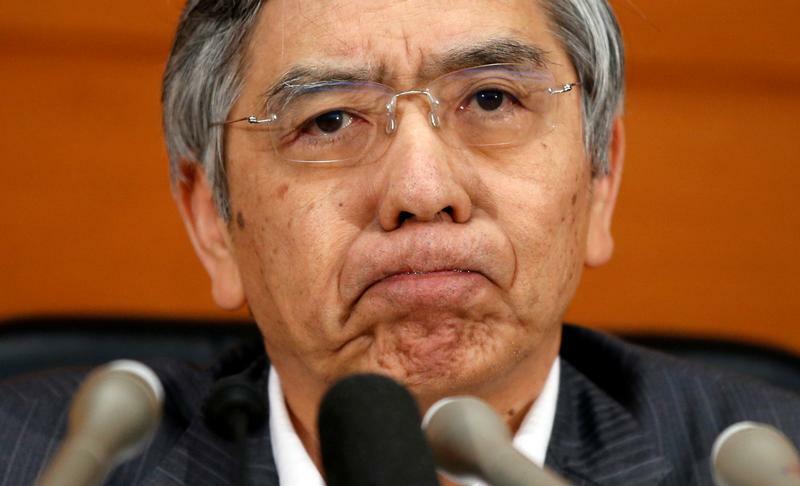 Supporters of Prime Minister Shinzo Abe such as Nobuyuki Nakahara and Etsuro Honda have recently suggested BOJ Governor Haruhiko Kuroda might not get a second term when the current one ends in April. They argue Japan needs a more radical assault on deflation than buying 80 trillion yen ($736 billion) of government bonds annually. Since June 2016, the European Central Bank has been buying roughly $8.2 billion of corporate debt each month.